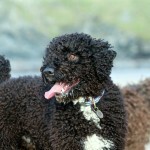 On Sunday 3rd April 2011 GranReserva hosted a Treasure Hunt in Burnham-on-Sea for the Spanish Water Dog Club. 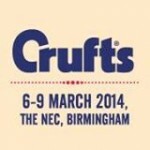 At around 11.00am, thirty Spanish Water Dog Club members along with their faithful curly companions gathered outside ‘Sandy Paws’. With an ancient map and clues in hand they eagerly headed to the beach in search of hidden treasure! There are seven miles of beach between Burnham-on-Sea and the natural promontory of Brean Down. It is the second longest stretch of sand in Europe and has one of the highest tidal ranges. 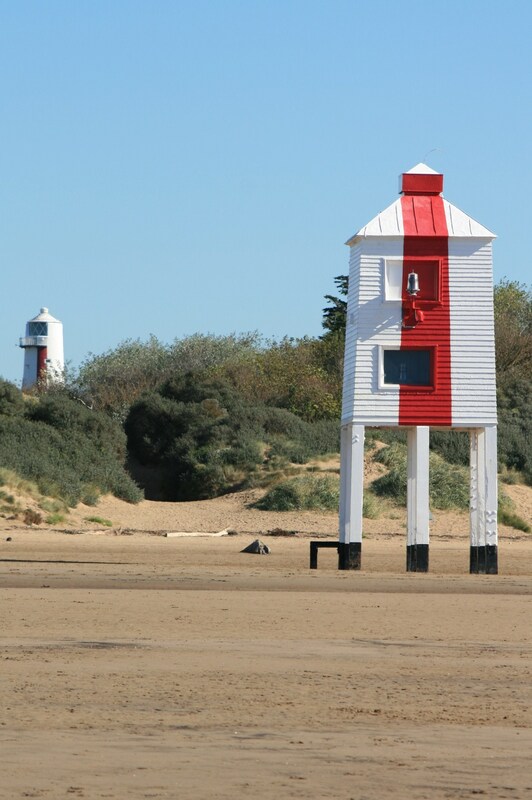 One of the most eye catching features on Burnham beach is the famous Low Lighthouse. This unique wooden construction was built in 1832 and stands on nine tall timber legs. There is a recently reinstated set of metal steps which gives access to the lighthouse door, any treasure hunter daring enough to scale to the top would have discover some treasure! The beach is lined with golden sand dunes where ample treasure was hidden waiting to be found. Some of the loot was buried underground so treasure hunters had to decipher clues and find the right spot to dig! In the distance, across the water Wales could be seen, along with the islands of Steep Holm and Flat Holm. Intrepid explorers proceeded along the sands to Berrow Beach which runs parallel to the golf course. Here thirsty treasure hunters were encouraged to make a detour inland to the Berrow Inn for liquid refreshments! 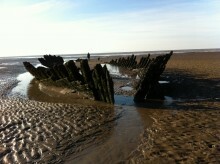 Further north towards Brean the ship wreck SS Nornen provided the final destination. The wooden ship was grounded in March gales in 1897. It’s entire crew of ten men and one dog were successfully rescued. 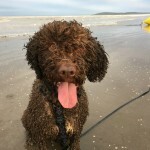 All the lovely sea air and a five mile walk to the ship wreck were the perfect ingredients for a healthy appetite, and adventurers finally made their way back to ‘Sandy Paws’ just as the skies opened with a short but heavy downpour. The house was buzzing with conversation! It was really nice to see so many new SWD enthusiasts networking and taking an active interest in club events. The Captains Table was overflowing with delicious food. Lots of homemade treats! Quiche, home grown plum pudding, exquisite salads and freshly laid eggs. Everyone was very generous with their contributions. All of the treasure was admired and claimed by the successful treasure hunters, and prizes awarded to the four Best Dressed Pirate! As the day drew to a close, our great adventurers said their goodbyes and made their way home. Sleepy dogs and little piles of sand in every curl and crevise were happy reminders of a great day out. We hope you all enjoyed exploring our beach as much as we do, it was a great pleasure to have you here.